If this resonates with you, then you need to join us at our next networking event in February, to take advantage of the opportunities our events create by just being in the room and so much more. 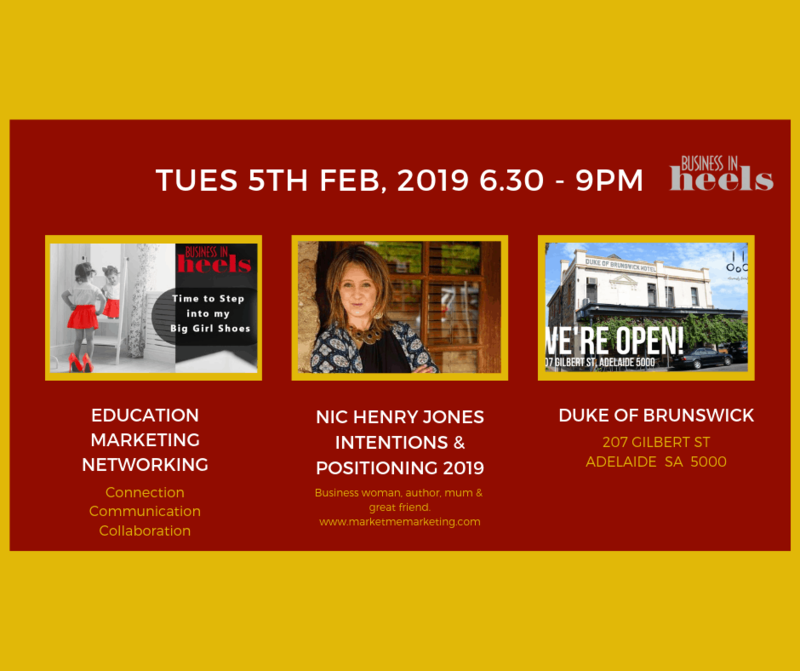 After a warm welcome from our local Branch Director, Cathy Kelly, you’ll be introduced to one of our networking superstars who are great at small talk and mingling, enjoy meeting new connections over a drink and nibbles. You’ll have the opportunity to learn more about the women in the room and share your own story. Start your year off on a powerful note as we ‘set our intentions’ for 2019! Nic Henry Jones will be sharing the power behind creating a masterpiece out of your life and the power behind Intention, positioning. We will then set our intentions for the year, and finish with mindfulness meditation. Nic is in the final stages of writing her second book ‘Your life your Masterpiece: The power of intentional living to live your best life’. Be some of the first to engage with these life-changing concepts.